Deciding on the perfect window treatment for room can feel like an overwhelming task. Should I get a roman shade like I see in the magazines? 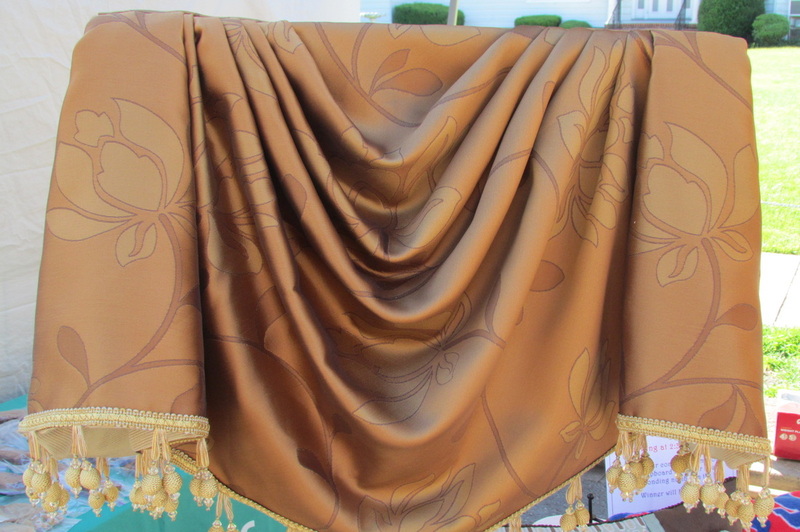 Or would long panel drapes be best or maybe just a small valance? True, there are many options for window treatments, but if you ask yourself a few simple questions, you'll be able to narrow down your options considerably and be well on your way to choosing the perfect window treatment! Deep breath...here we go! 1. What is the sun exposure in the room. Think about where the sun rises and sets around your home to determine this, (or there's no shame in downloading an app like Compass to do it quick and easily!) If you have a south or southwest facing window, you may be getting a glare on your TV, or waking you up way too early and you'll definitely want to protect any fabric hanging in that window. So for this, blackout lining is your friend! Roman or cellular shades would work. If your window is north facing you may need as much light at possible, so valance or light filtering shade is ideal. 2. Do you have privacy concerns? Do your windows face the neighbors or do you feel like your living in a fish bowl at night? Then you most certainly will need some privacy. Light filtering pleated shades, woven or wood blinds will give you light and privacy. Need more than that? Try a blackout shade with bottom up/top down feature that allows light up high and complete privacy down low. 3. Does your window let in too much heat or cold? Temperature concerns while problematic, can be easily addressed. Blackout lining on long panel drapes acts as insulation around a window trapping the cold air of winter and the heat of summer, making your room more comfortable. Double cell honeycomb shades will do the same thing, if a shade is a more appropriate treatment for the space. They also have the highest R-value in insulation for window treatments. 4. 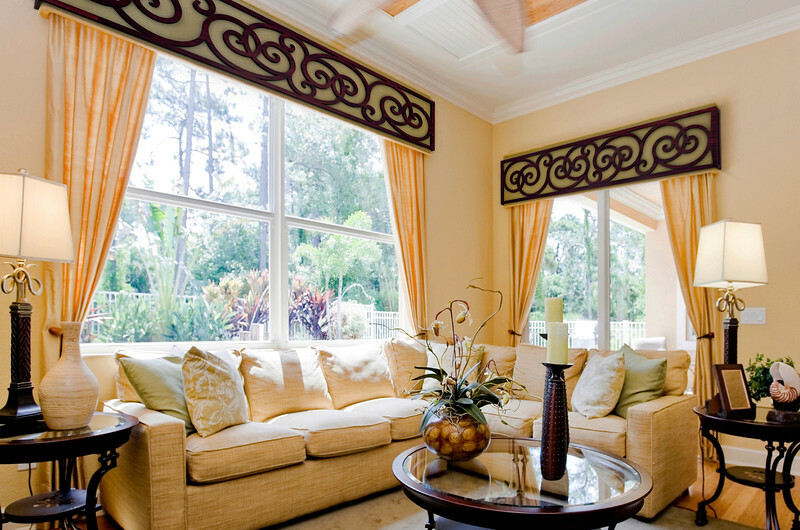 Do you need your window treatments to be functional? If you need to address light, privacy or temperature concerns, your window coverings need to be functional. Your solution is most likely going to be a shade. Whether it be Pleated, Roman, Cellular or Sheer depends on your answers to questions 1-3 above. An alternative solution would be operable panel draperies that open and close with a traverse rod, hand wand, or motorization. 5. Do you want something to just sit and look pretty? Decorative window treatments add stunning beauty to a room, visual interest, a finishing touch and convey a mood and personality. If you're nodding your head, then you have several options. A valance, for one, is an excellent choice. There are so many unique and fabulous valance options to consider. You could also do stationary panels, if that's more suitable for the room, and lastly a roman shade can be very decorative. Does that give you some ideas? Put you on the right path? If you'd like some professional design assistance in choosing your window treatments, we at Sew Stylish Designs would love to help you with your project. Just give us a call! Keep Calm and Decorate Your Windows! Sew Stylish Designs is excited to sponsor the 2nd annual Burlington Co. Out of The Darkness community walk to raise funds for suicide prevention. It is a cause that is near and dear to my heart. I'm honored to be on the chairing committee and assisting with efforts to raise awareness about mental illness and help fund the efforts of the American Foundation for Suicide Prevention (AFSP). Last year we raised nearly $24,000 and had a great day of hope and healing! Please donate and come out to walk with us on October 21st 2017, from 9:00 to 12:00 at Laurel Acres Park in Mt. Laurel NJ. Suicide is the 10th leading cause of death in the US and affects 1 in 5 families. No donation amount is too small! Please support this important cause and help save lives. To register for the walk and donate, please click here or visit: www.afsp.org/burlingtonco. Delicious food provided by Wegmans and music courtesy of Fred Hart Entertainment. Thank you for your support!! Have you heard of Tableaux? ​I attended my monthly WCAA workshop and learned all about this product and how to work with it from Donna Skufis, who is amazingly clever in her fabrication, and Donna's main designer Ginger Thoerner, who is equally as talented in her designs. Together, they have been making beautiful and innovative window treatments with this product out in Kentucky. If you're looking for something truly original in your custom window treatment, contact me about Tableaux and we'll make a work of art together!! What a great day at the Mt. Laurel Fall Festival! The weather was beautiful and everyone came out for a fun time. Congratulations to Andrea Morris of Mt. Laurel who won a complimentary 90-minute design consultation! A close friend of mine Joanne, has a cousin Renee with Multiple Sclerosis, and she works tirelessly each year to raise money for MS awareness and research by participating in the annual Bike MS event. This is a passionate cause for her as she watches her cousin struggle with the disease. 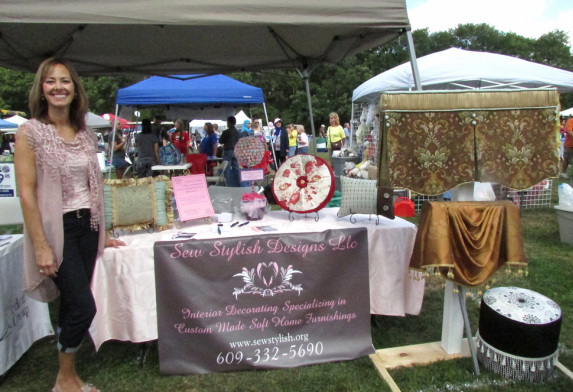 Sew Stylish Designs is pleased to contribute to Renee's Riders to support them in the bike race and their efforts to raise money to help find a cure for the disease, and assist those living with it. If you are interested in learning more about Joanne and Renee's story and how you can help fight the disease, please click here. What a fun time we had at Moorestown Day last week! Thanks to everyone who came out to visit us. The weather was beautiful and the vendors were just great! Oooh look at those fancy pillows! Empire Swag valance with beaded trim. Box pleat valance with pencil pleated header. One of the biggest fears and frustrations I've heard from clients when they're trying to design a room is how to mix fabric patterns. They end up with one patterned fabric and the rest solid, for fear they'll clash. It's really not very difficult at all and with a little practice you'll be pattern mixing like a pro! Click here to learn the secret to pattern mixing. Feel free to leave a comment or email me pictures of the fabrics you've put together. Happy decorating! 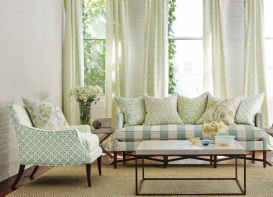 Pictures courtesy House Beautiful and Kravet fabrics. I'm the owner of Sew Stylish Designs Llc, window treatment designer and fabricator of custom curtains, drapery, blinds and shades in Mt. Laurel, serving the South Jersey area. Whether it's a custom valance, pillow, or your own window treatment idea, I love to create something unique and beautiful from just a roll of fabric!